Another DIY project on my Swift Sport - not an add on but a removal instead. The rear wiper is hardly used though it may be useful during heavy wet weather. 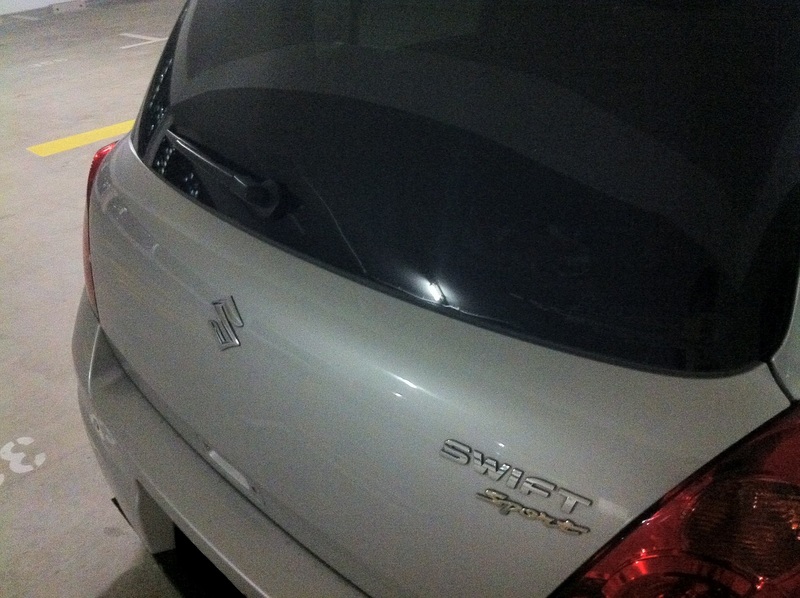 This is how it looks like with a rear wiper on. Removing the rear wiper & it's motor is really an easy task. It took me only 30 minutes to get it done. Bought a brand new rubber cover for the hole on the rear window from the SCSG for $10. Tested by spraying high pressure water when washing car and not water leakage discovered.